EA Canada, the Hockey branch of the EA Sports brand, has been on a complete tear for several years now. Just as competitor 2K Sports hit a monumental slump from which they still have yet to even show the earliest signs of recovering, NHL 07 debuted a fantastic new gameplay engine for the long-running franchise, with each subsequent year adding substantial improvements over its predecessor. 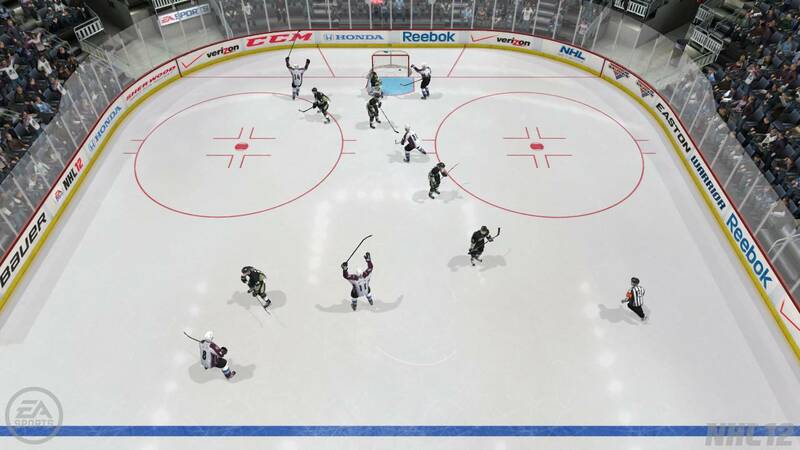 The most notable innovations include the Be A Pro mode, which effectively transforms your Hockey sim into a customization-driven role-playing game (all while still remaining a Hockey sim), and the EA Sports Hockey League, which allows full teams of human players to connect online and compete. The ability to play NHL in so many different ways has combined consistently with the extremely strong and always improving core gameplay to elevate the series to one of the all-time sports greats. 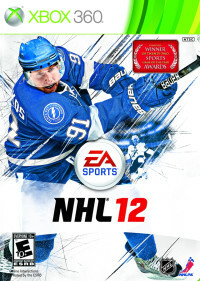 Now, NHL 12, displays this proudly on the front cover, touting the franchise's 22 Sports Game of the Year awards. Don't be surprised at all if NHL 12 boosts that number considerably. 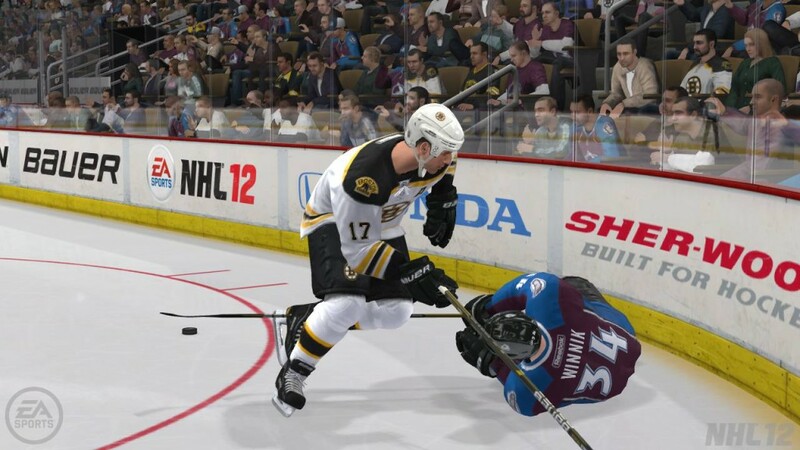 NHL 12 is the latest installment in EA Sports' NHL series, which has typically been one of the stronger titles in the company's lineup. The collectible card driven Hockey Ultimate Team mode is back, as is the management-centric Be A GM mode, but following the trend of recent years, the role-playing Be A Pro mode is once again the star of the show in both online and offline flavors. This year's Be A Pro improvements are profound. Ice time is directly linked to your role on the team, and you're assigned context-relevant tasks by your coach. Also added is the ability to simulate to your next shift the moment you skate to the bench, and the inclusion of a full junior career instead of just the Memorial Cup. Along with these new features is the return of a fan-favorite: the amazing, immersive pre-game skate scenes, to draw you right into the action from the moment you hear the roar of the crowd. A particularly striking addition is that of the Be A Legend mode, which allows you to bring a host of NHL legends in their prime into the "new NHL" with Be A Pro functionality. It's not a comprehensive who's who of NHL history, but with names like Gretzky, Roy, Lemieux, Howe, and Bourque available, most bases have been covered. It's an interesting way to see exactly how yesterday's stars stack up against today's competition. This feature is especially enjoyable if you're specifically a fan of the NHL Hall of Famers included in the game. Newcomers to Hockey, meanwhile, might enjoy the built-in history lesson of the legends milestones. The Gretzky records are there, Mario Lemieux's five goals five different ways in a single game, and many others that help explain just how good some of these guys were. EA NHL has traditionally followed a pattern. They will take an existing gameplay formula and tweak it to near perfection. Then they utterly demolish their progress with a bad game. That will prompt them to head back to the drawing board and create something from the ground up. Ultimately, this trades in the minor lingering issues that could be tweaked out fairly easily for the types of major problems that tend to accompany a freshly-crafted attempt at sports simulation. NHL 12 manages to avoid this problem by being both an extension of the past five years of franchise success and a new beginning all at the same time. From the first shift you take in NHL 12, it's obvious that the game was built upon its predecessors, but everything feels much more fluid and real. This is because the physics engine was completely overhauled for this season, with astonishing results. The puck and collision physics are noticable right off the drop, and the addition of goalie collisions adds a major level of intensity to the game. That's not to call it perfect. There's still a lot of fine tuning that needs to be done before we have a true Hockey sim. AI shooters always seem to find a way to thread the needle just right through a screen. Defense overall feels a little too nerfed compared to last year. The hipcheck is so overwhelmingly effective that it already tops many players' patch request lists over at the EA Sports message boards. Still, NHL 12 plays a better game of Hockey than anything else out on the market, and the changes implemented this year will only further enable EA Canada to continue on their path toward an absolute Hockey simulation. NHL 12 continues the series' recent tradition of providing players with the ultimate Hockey playground that one can approach however they wish. The staying power is also absolutely immense, with many of the game's modes offering up hundreds of hours of play by themselves. The fine-tuning of the core gameplay is a little more pronounced this year, and some elements of this do have their growing pains to contend with, but EA Canada has still done a better job of condensing the great sport of Hockey onto a plastic disc than anyone has yet. In short, NHL 12 is not only a game that went out of its way to satisfy the annual faithful, but is also a can't-miss game for players who might only check in with the series once every few years.